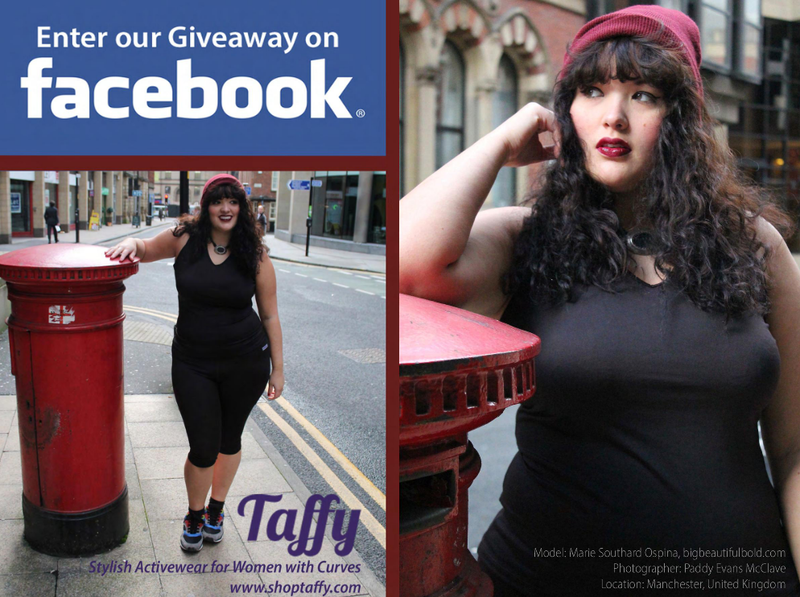 A few months ago, I received a Twitter follow from Taffy -- stylish activewear for women with curves. Though I hadn't heard of the brand before, one click onto their website, and I knew it was for me. Being over a size 12, it's difficult to find activewear that fulfills the three functions that I personally find essential: practicality, comfort and, of course, aesthetic allure. When I work out, I want to be able to put something on that's going to do its job and look great while doing it. Usually, I don't even bother to shop the fitness section because it's just so difficult to find the ideal active apparel, and so I tend to end up just wearing leggings or PJ shorts with a loose men's tee-shirt -- comfy, but not so cute. So luckily, Taffy came along just at the right time. After their unexpected and lovely follow, I reached out to Taffy, and a collaboration followed. I was lucky enough to be able to model for their ad in the December issue of Plus Model Magazine, which you guys can check out here. 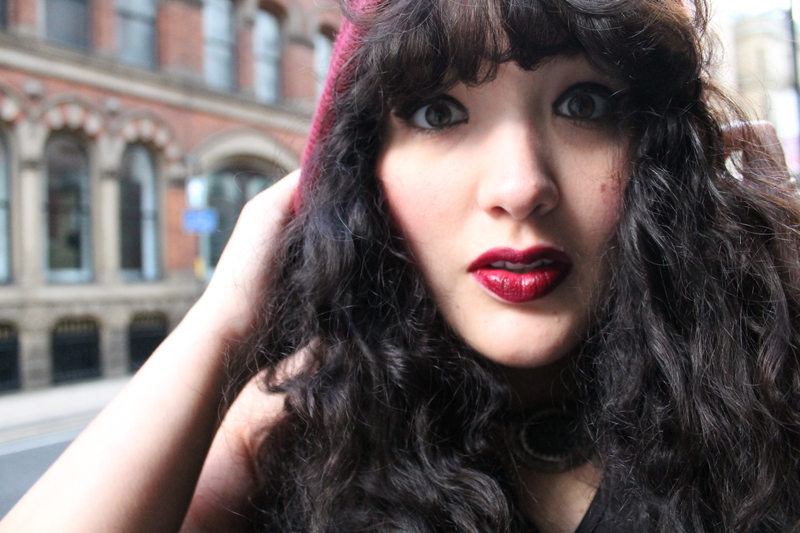 The photos were taken in Manchester, and though I got a few odd looks here and there for being outdoors in short sleeves in the middle of November, I had a blast. I have to say, I love brands that own the fact that women of all shapes and sizes work out. 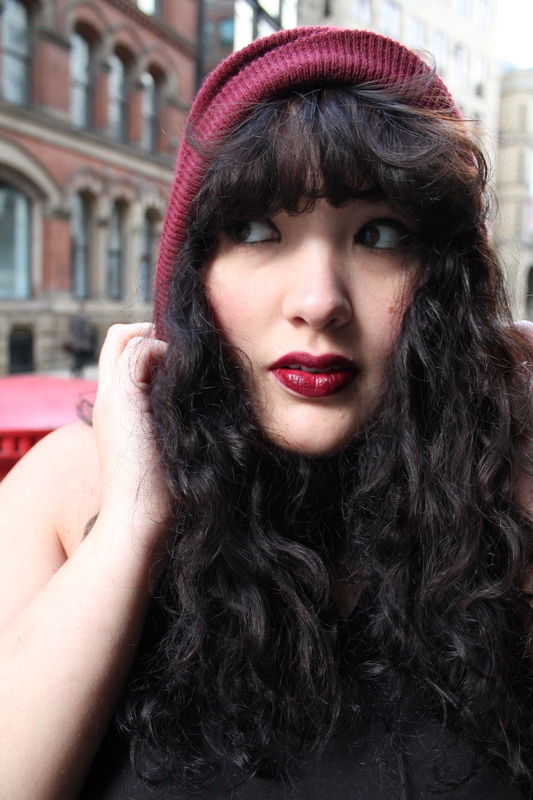 That common misconception that anyone plus-size must surely never touch a treadmill taunts us curvy girls constantly. I won't pretend that I am a gym rat. By no means do I spend five hours a day on a stationary bike or pumping iron. But I do enjoy exercising. Cardio, especially, relieves my anxiety and fills me with more energy to make it through the day. In the past year, I've neglected the gym some, and realize how it affects me emotionally and mentally more than anything else. I've decided to resume my usual work out routine just in time for the new year -- not to lose weight or change the way I look, but to feel better and livelier on a day-to-day basis. And I couldn't be happier to have my new Taffy ensemble at my side as begin. Fashion blogger and Marie Claire columnist Nicolette Mason often says that having the right clothes to work out can be a huge motivator in getting up and running, and I couldn't agree more (you can check her out in Taffy here as well). Awesomely enough, Taffy is doing a giveaway on Facebook for the outfit I wore -- so you can enter to win now. All you have to do is like/comment on the post. All clothes are super affordable (beginning at $14.99 and range between U.S. sizes 14-24). Marie, you look gorgeous!! Thank you so much for jumping into this project...I love your look! Super awesome! Ah your curls. Loooove it. Thank you, Peter. As always, you brighten my mood with your lovely comments. She carries that activewear so gorgeously. Fashion is for everyone and so is the fitneswear. Good to see that there are various Activewear brands for women of almost every sized bodies.Thanks for sharing this blog! Was really looking for such gorgeous and stylish active wear clothing. Sweatshirts and hoods also look great with yoga pants. Also having some carbon38 leggings with matching tees and almost all of them are of premium styles. Thinking to buy other gym accessories that my friend is carrying with her.